Want to Have a Healthy Week? If you want to eat healthy, you have to be prepared. I know that I am more inclined to grab something that isn't the best for me when I have it in the house or when I don't have fresh ingredients all ready to make a meal (or already cooked and ready to eat). 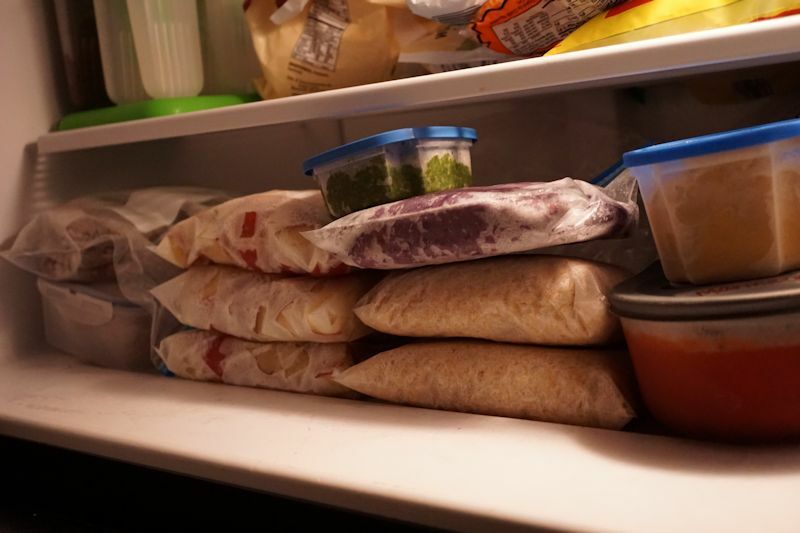 So, the first line of defense is to only have food in the house that is life-giving--whole plant foods like fresh and frozen fruit, fresh and frozen veggies, whole grains (pasta, rice, potatoes, oats, quinoa, barley, etc. ), and freshly cooked or canned legumes. Keep almonds, walnuts, and raw cashews in containers to use sparingly in recipes, along with chia seeds and ground flaxseeds to add to recipes or smoothies. You have to grocery shop in order to have healthy food in your house, so make sure grocery shopping is part of your weekly plan. The second line of defense is to have food ready to use in your cooking or to eat. Chop veggies and fruits for the week. Pressure cook rice and freeze in containers or baggies for future meals. Cook white or sweet potatoes and have them waiting in the fridge to create a meal or eat as a snack. Also, make some oil-free hummus or salsa to store in the fridge for snacks or to add to meals. Make homemade oil-free marinara sauce and/or pesto and freeze for an easy spaghetti night. Bake healthy, oil-free muffins and wrap them well before storing in the freezer. The third line of defense is to resist eating out in restaurants if possible. The minute you leave your home, you are putting someone else in charge of your food. Even when you say, "No oil, please," you may see glistening on your veggies. The fourth line of defense is to eat before you go! If you're invited to a party, don't miss it! GO! GO! GO! But, make sure to eat a healthy meal at home before you leave. Then, you can drink chilly water with lemon at the party and eat any fresh fruits or veggies they have there. Just wanted to remind everyone that success in any endeavor takes planning. Eating well is no different. Have a super week! I love your quote: "The minute you leave your home, you are putting someone else in charge of your food." I'm gonna use that. Great article and so very true. Thank you, Angela! I just believe it's the truth. Share it because it might help someone!